On the way out of the theater, we passed a shop that sells set decorations for movies, and they had a display of chandeliers in the front window. 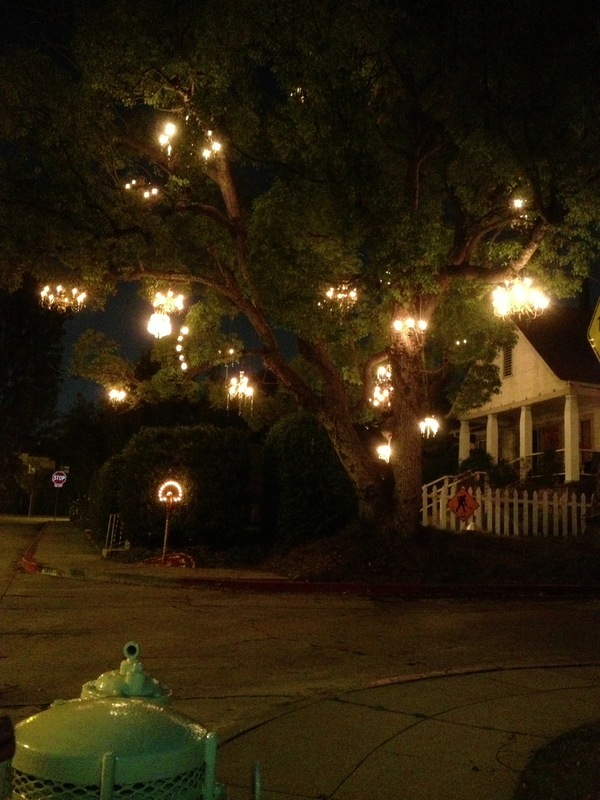 And I thought we should go see the Chandelier Tree in Silver Lake on the way home. I’d been to see it with the Sunday morning bike club group, but this was a chance to see it at night. 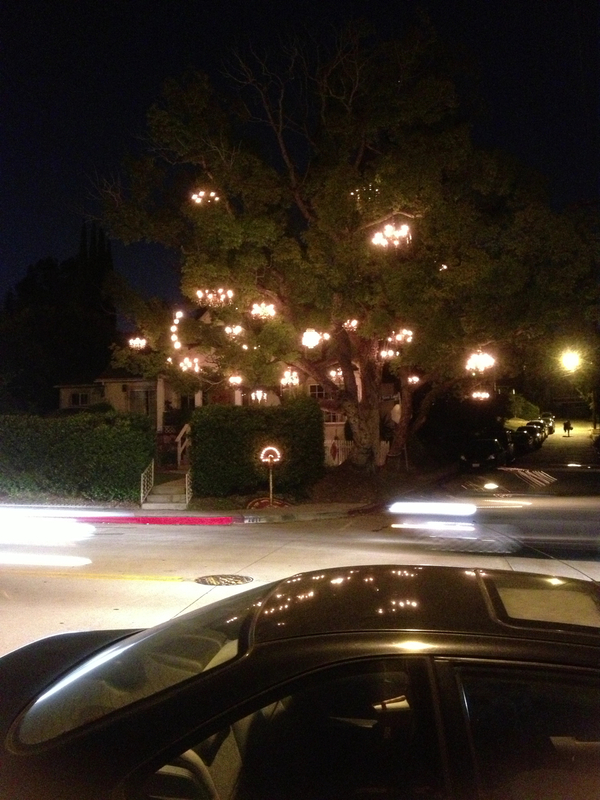 So we had an evening of Nigerians and Chandeliers. Actually, that was a good combination.